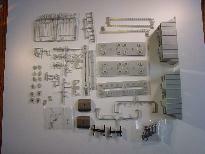 This photo shows what all was included in the box of one of these kits, with the exception of the walkways. 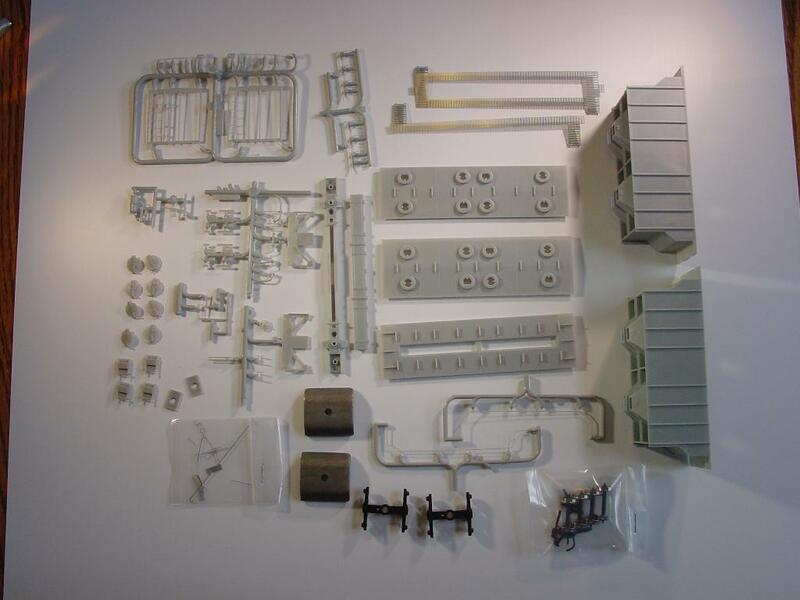 Each kit contained all of the parts shown. Two kits were available. The only difference in the two kits was the walkway. The old page on these kits and cars is still online, go to the PS2600 kits page.